Just a quick post to share one of my favorite stamp sets from the new catalog. We got to see this set in action at On Stage in April. While everyone else was picturing cute, pink pigs - all we could see were red Razorbacks! The pigs were stamped with Archival Black on Shimmery White card stock. Then we used an Aqua Painter to color them. You can find lots of cute examples with this set on Pinterest. 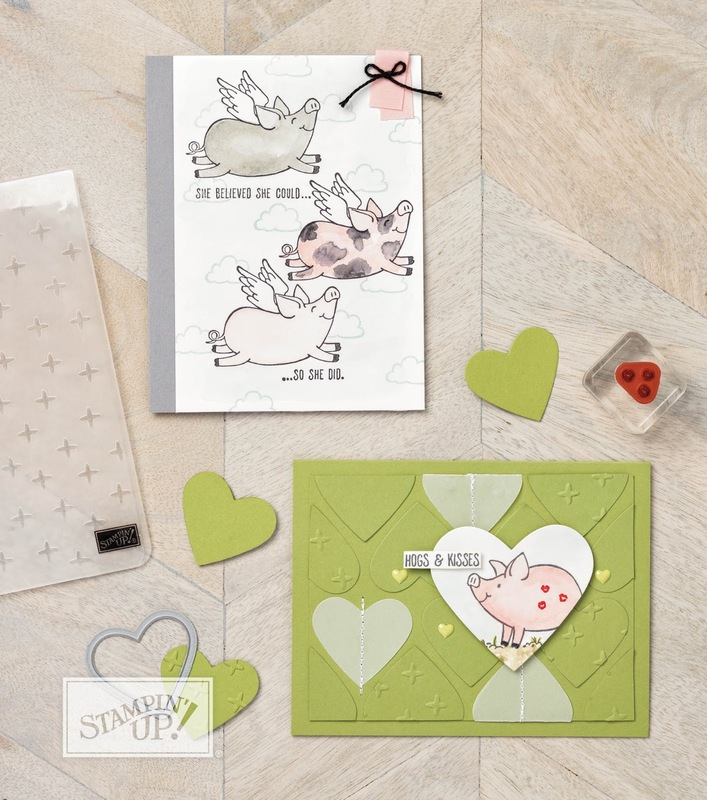 Let me know if you'd like to add these cute hogs to your stampin' stash!